The museum opened on 28 October 1978, the 250th anniversary of the birth in the same spot of British naval explorer and circumnavigator Captain James Cook. A biographical museum, it champions and surveys his life, times and subsequent journeys. This pink granite urn is inscribed with the text "This granite urn was erected by H.W.F. Bolkow of Marton Hall A.D. 1852 to mark the site of the cottage in which Captain James Cook the world circumnavigator was born Oct 27th 1728"
Prior to its existence, visitors to the Park had long already been enlightened as to the location's historical significance by the erection by local industrialist and mayor Henry Bolckow of a granite urn in the 1850s bearing Cook's name, within what were then the grounds of his own residence, Marton Hall. Marton Hall was destroyed by fire in 1960 during demolition, with only a surviving stone loggia a telltale sign as to its former existence. The museum itself comprises some of the modest Cook-related collections outside of the ownership of the major national and international collections; including household items and a speculative reconstruction of the birthplace cottage that was swept away amid the landscaping process for the Marton Lodge, home to the Rudd family, which stood here until 1793. Also on call to the visitor are a series of interactive displays and temporary travelling exhibitions as well as a cafe, gift shop, education suite and resources and archive room. A second major refurbishment was undertaken in 1998 whereupon Sir David Attenborough reopened it to the public. External to the museum can be found an information board in deference to Marton's position as the starting point for the Captain Cook Country Tour, a product of the Cleveland-wide Captain Cook Tourism Association. ^ "Welcome to the Captain Cook Birthplace Museum". Captain Cook Birthplace Museum, Middlesbrough Museums. Retrieved 1 June 2016. ^ "Memorial to Captain James Cook Circa 80 Metres South of Captain Cook Birthplace Museum". British Listed Buildings. Retrieved 6 October 2011. ^ "Loggia Circa 20 Metres South of Captain Cook Birthplace Museum". British Listed Buildings. Retrieved 6 October 2011. ^ "Captain Cook Country". Captain Cook Tourism Association. Retrieved 1 June 2016. This article about an organisation in England is a stub. You can help Wikipedia by expanding it. The London Transport Museum, or LT Museum based in Covent Garden, London, seeks to conserve and explain the transport heritage of Britain's capital city. The majority of the museum's exhibits originated in the collection of London Transport, but, since the creation of Transport for London (TfL) in 2000, the remit of the museum has expanded to cover all aspects of transportation in the city. 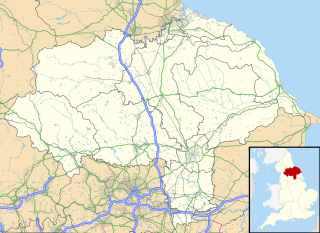 Normanby is an area in the unitary authority of Redcar and Cleveland and the ceremonial county of North Yorkshire, England. It is part of the Middlesbrough agglomeration but is not within the borough of Middlesbrough itself. It has a population of approximately 7,000 residents. It lies between Ormesby, to the west, Eston, to the east, and Teesville and South Bank to the north. Stainton is a village in Middlesbrough, in the borough of Middlesbrough and the ceremonial county of North Yorkshire, England. It is in the local ward and civil parish of Stainton and Thornton, and had a population of approximately 2,300 as of 2005, measured at 2,890 in the 2011 census. 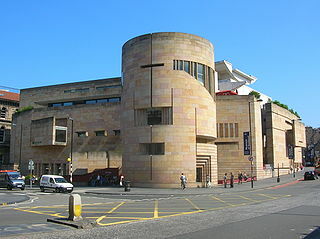 The National Museum of Scotland, Edinburgh, Scotland, was formed in 2006 with the merger of the new Museum of Scotland, with collections relating to Scottish antiquities, culture and history, and the adjacent Royal Museum, with collections covering science and technology, natural history, and world cultures. The two connected buildings stand beside each other on Chambers Street, by the intersection with the George IV Bridge, in central Edinburgh. The museum is part of National Museums Scotland. Admission is free.